Home / Blog / You’re From Scotland? Do You Know Phil? 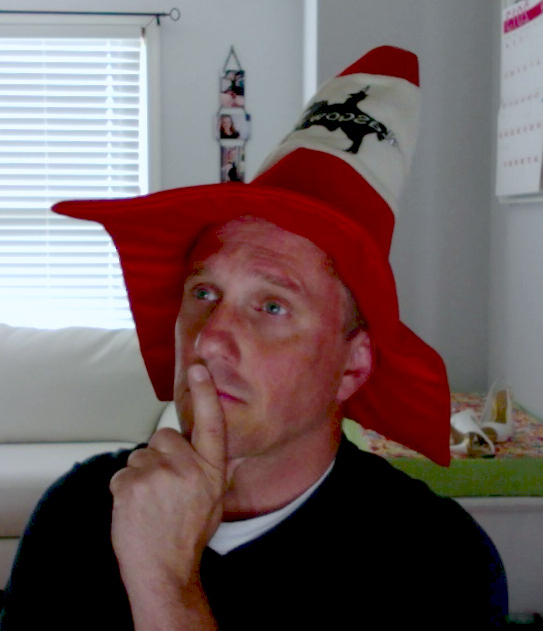 It’s tough to keep up the blog during convention season. Sorry it’s been a few days. Today’s post is a bit out of the writing-grammar-language category, but it was just weird enough that I had to share it. My friend John told me about a visit to Wales a couple years ago. Upon learning he was from America, a young boy asked him, “Do you know Shaquille O’Neal?” The world seems pretty small to a fourth-grader, I guess. But we adults know better, right? My wife, Melanie, is a portrait photographer. Recently she met with a couple about their upcoming wedding. The groom-to-be is from Scotland, and in the course of conversation, Melanie mentioned that our family stayed in Glasgow for a brief visit several years ago. “Where in Glasgow did you stay?” he asked. “No kidding! He’s not a lawyer by any chance?” she said. Our family was in Glasgow for a couple weeks in 2010 and the only Scot we met and remember was our neighbor, Phil, who stopped by and chatted one afternoon. He was friendly and gregarious and didn’t mind the noise we made. 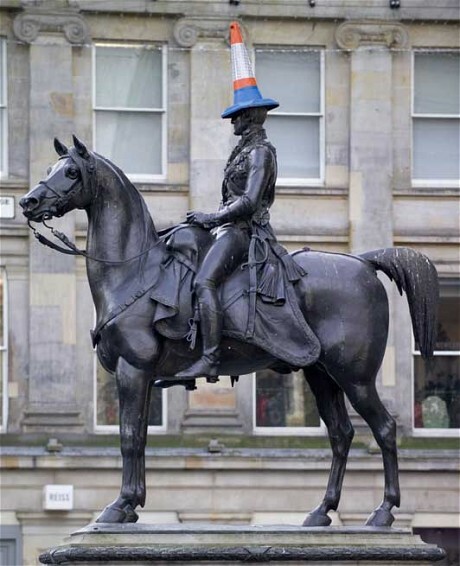 We remember him distinctly because he had a side business selling tacky tourist hats that resemble The Glasgow Hat — a traffic cone that perpetually adorns a statue of the Duke of Wellington outside the Museum of Modern Art. He even gave us one. You can see me sporting it above. I’m the one not on a horse. Melanie: You’re from Scotland? Do you know Phil? Scottish guy: Of course! He’s my best friend! This is beyond the pale of our usual subject matter here, but I just had to share it. What does it mean? You know you want to leave a comment. Don’t resist the urge. Do it below. Life is serendipitous–one of the many reasons to enjoy life to its fullest! I am from the United States of America, not Scotland.